Add extra pizzazz to your meals with this elegant, customizable dinner plate. 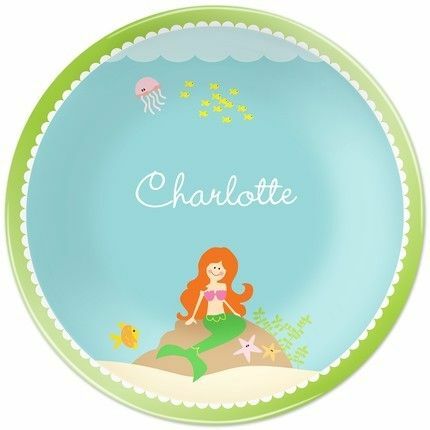 This melamine plate features a mermaid and fish at the bottom of the ocean. Add your name or monogram to complete the look. PLEASE NOTE: This plate is dishwasher safe but is NOT microwave safe.